After a very hot weekend spent celebrating Lacombe Days are you ready for the weather to cool down just a bit? There are so many wonderful activities and places to visit during the summer! If you are looking for ideas - check out the Lacombe Tourism website. Bonus - "the arts" in many formats are featured - Music in the Park, Art in the Garden are two examples. There are opportunities for nature walks, learning new skills - at the blacksmith shop and more. Learning to knit or crochet are always an option here at The Crafty Lady, as we offer private lessons. We do ask you to book in advance - so there is a staff member for you and one to mind the store. Taking your craft to the beach or while sitting around the pool, may sound like an really strange idea, but is very easy - especially when you are working in a synthetic yarn or an easy pattern. It is easy to pick up and put down or put away, keeps your brain focused and stops the grand-children from wanting to throw you in! The names of many of the yarns encourage you to think about plants, places, colours and textures. Surf engines make accessing information so much easier than going to get an encyclopedia and looking it up. With the improved access to information, you often get information you may not REALLY want. This past week someone told me how many weeks it is to Christmas. Is this a really great way to spoil a wonderful summer? Or an opportunity to start planning and creating . . .
Last week's special celebrated 'Union' -- a beautiful blend of natural and synthetic fibres. So let's create a union for this week's 75% off special as well. We have great summer colours in a 100% super-wash wool, verging on chunky so will be warm to wear and quick to complete. The suggested needle size is 6.5 - 8 mm. What a great way to reduce stress and get a head start on those holiday gifts! And you can take it to the beach, or the park when you go to Music in the Park this week!! NOTE: The Crafty Lady will be closed Monday, August 6 for the long weekend, see you Tuesday, August 7! The Crafty Lady has decided we are going to celebrate Lacombe Days with a Saturday Sidewalk Sale!! We have not yet finalized what is going to be on sale, but all items will be 50% off their last marked price. As we are not on the parade route this year, we will not be closed during the parade. So come in, explore our new location and help us celebrate Lacombe Days. Just a reminder we are located around the corner from the old location - between Red Hot Threads and CIBC!! Togetherness. Friendship. Companionship. Marriage. Contractual agreements. Treaties. Relationships. Congregations. Partnerships. Political parties. Social welfare groups. A sense of unity -- of people coming together for a common purpose, whether it be to start a family, a faith community or a company, to protect a group of workers or to identify a geographical population. Nowadays there's a great deal of talk about 'coming together' and 'uniting' and recognizing that 'a house divided against itself cannot stand' (Matthew 12: 25). And much of this comes from world politics -- which I'm not going to get into here! Did you know, though, that there's unity in the textile world too? 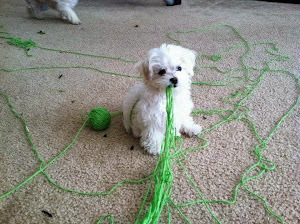 And it's found in yarn! Whenever a yarn is either plied from two different sources -- such as a wool 'single' and a synthetic metallic single' -- that's a union! And if you want to get technical, a "blended" yarn is...a union! It's long been said that 'two heads are better than one'. It's why here at The Crafty Lady, we offer yarns that unite cotton and acrylic, or wool and acrylic, or alpaca and silk, or wool and silk. One type of fibre enhances the lustre, drape, wear-ability and/or wash-ability of the other. Sometimes the combination is more affordable than a yarn of a pure, stand-alone fibre would be. In other words, "union" in the yarn world can mean that yarn-crafters get the best each material has to offer. This week we have a Super Special Sale yarn feature that exemplifies just that. It's a chunky blend of wool and synthetics, quick to knit or crochet up, and colourful too. It will keep loved ones warm -- and is easy to hand wash and hang to dry. Try this in a cowl or a bulky hat -- and get a head-start on your (ahem!) Holiday Gift Making! Now...lest such a yarn isn't to your taste -- or even if it is -- don't forget that July 26 through 29 is the Annual Lacombe Days Festival! 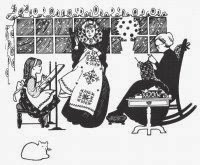 Drop by for Knit Night on Thursday from 6 p.m. onward. For $5.00 you can enjoy a beverage (coffee, tea), a tasty treat and come together with other yarn-crafters -- as well as fondling our wide selection of yarns, exploring our stock of patterns and yarn-crafting accessories. AND The Crafty Lady will be joining in the celebrations on Saturday, July 28, with her Annual Sidewalk Sale! Do drop by the shop to see what the added surprise specials will be! We'll be open 9 a.m. through 6 p.m.
P.S. The Shop is also a great place to hang out with your knitting and/or crochet and/or stitching if all the crowds and noise of the Festival just get to be a bit much. Just sayin'! Since our move, we have had a contractor hit the main water line into Lacombe, resulting in about 10 days of extra work for the crew and a small flood in our new basement; the last lift has been put on Hwy 12 and the road re-opened. No! None of our yarn was damaged - thanks to Lori and Anne and our landlord assisting with 3 dehumidifiers (which are still pulling water as of July 16, 2018). The heat from the paving has been incredible - but we are really enjoying the new location. To the best of our knowledge everyone has found us, as the phone number has not changed and Google has updated their information. Under construction - is not a phrase we often apply to our projects, be they crochet or knit, but that is exactly what they are "Under Construction". Just as in building a home or a road, there is the planning, materials, pattern, who is going to receive - colour and fit, the actual doing - casting on, working on it, and finishing. Then it is ready for the big reveal!! As with construction, things do not always go exactly according to plan. Did you plan to tear the front because you miscalculated, forgot a row and needed to re-do a portion? Going back to the original analogy - Hitting the water main - was a miscalculation, just a little more expensive and probably harder to fix than re-working a sweater (at least, in my mind). The finished product often feels like you earned a diamond success story, the love worked into every stitch, the prayers for the recipient, the joy and peace created as you worked on it - worthy of a diamond or two. All of the hard work of The Crafty Ladies to complete the move smoothly for our customers has paid off and the new premises are receiving "diamond" worthy compliments and appreciation for our new location. We feel the lighting is better, there is a full basement - where there is lots of storage for extra product and yarns, and an office for The Crafty Lady!! So many great things have come out of this construction and move. Lori (aka The Crafty Lady) is in the process of sourcing new yarn suppliers and products to meet the growing requests from our patrons. 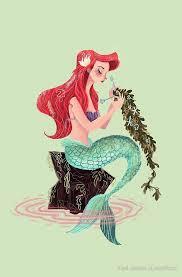 If there is a yarn you have used and would like her to stock, please let us know and she will consider. Two Diamond Luxury yarns - Our Diamond Duo are our featured yarns!! 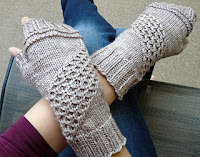 Written by Anne, happy TCL employee loving lace work and this week's Diamond Duo!! Come in and see! Do You Have a Folio? If you're wondering, the word 'folio' has several meanings -- but all of them involve books and printing. Most simply, a folio is a way to arrange sheets of paper or pages into a book. Each sheet is folded only once. Alternatively, a folio could consist of one or more full sheets of paper, on which four pages of text are printed -- two per side. However you slice it, it seems that a folio is a collection of pages -- and sometimes that collection is in and of itself a collection. To whit: the Gutenberg Bible and Shakespeare's First Folio -- or collection -- of plays. Or perhaps it's just your personal collection of knitting and/or crochet patterns -- particularly if (like me) you're "Old School" and don't carry them around in digital format on an iPad or on your 'phone. I'm not sure that a digital format can be referred to as a 'folio', because the pages aren't actually printed. But perhaps that's just splitting hairs. 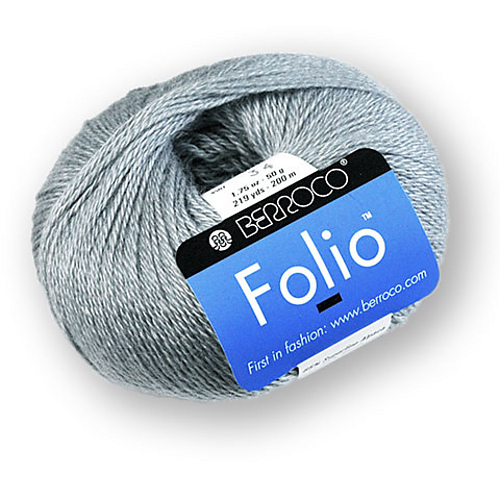 However you collect them, if you are a yarn-crafter you are sure to have a "folio" of patterns somewhere. Even if you design your own, they're best written down so they can be proof-read, followed, shared, sold (or purchased) and collected -- whether in a binder somewhere in your home, or on a bookshelf, in an online file of pdf documents, or in your Ravelry digital "library". 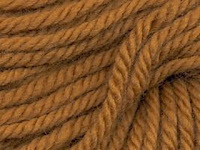 Almost a month ago, Yours Truly wrote a post in this space about the names that yarn companies sometimes choose for their yarns. Sometimes, those names make perfect sense. Sometimes...we don't 'get it'. That might be said of the yarn we've chosen for this week's Super Special. 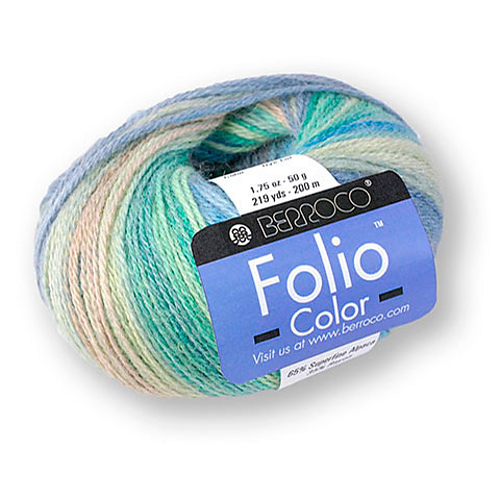 For whatever reason, the Good Folks at Berroco named it "Folio" and "Folio Color". It's 65% alpaca and 35% Rayon/Viscose. 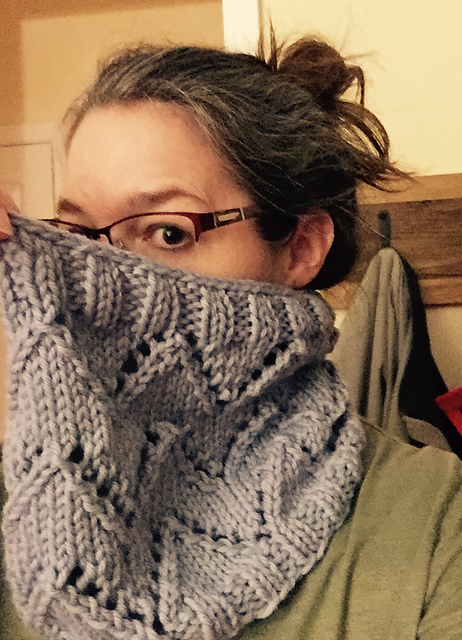 It's a lovely double-knit (#3 US) weight that's meant to be hand washed and dried flat. 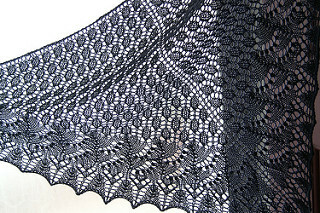 It has beautiful drape for lacy shawls, but also works for hats, scarves, cowls and tops. None of this seems to have anything to do with books or printing -- except that you could, if you so wished, print up to fourteen pages worth of pattern ideas for it. That would yield several 'folios' for your personal collection, and keep you busy enjoying this yarn for...well...a long, long time. And at the Super Special Sale price (75% off! )...why not? and - 12 minutes later it's ALL GONE! so you get another chance at the poor little orphans that need a home! Families, communities and businesses create their own traditions. Over the past weekend, many of us were involved in celebrating Canada Day. Fireworks, bouncy houses, face painters, ball games, horseshoes, tennis tournaments, FOOD, fun are all long standing ways to celebrate Canada Day. Singing "Oh, Canada" is very much alive. Speaking for myself, it is not Canada Day if we do not take a minute to sing our national anthem. One of the very special memories I have was years ago, when gathered at the Ukrainian Village for Canada Day, we were all asked to sing in our first language, or the language of our ancestors. It was awe inspiring! I heard 7 different languages celebrating our county, and I know I did not hear all of the different languages being used. The Calgary Tower celebrated 50 years on Canada Day. Special events help to create traditions. Lori is not a fan of "in-lieu of" days off or moving holidays, therefore since Sunday is July 1st and we are always closed on Sunday, she sees no reason to be closed on July 2 so you get a bonus day to shop! This week we are not featuring one single yarn. We have a collection of single balls of yarn - one only of a colour or a specific type of yarn which we have taken to calling our "orphans". Our box of orphans over-floweth, therefore, we are offering our orphan collection for sale. The collection includes chunky, worsted, lace; ranges including 100% wool, cotton, to 100% acrylic and blends in between. Brands names include Malabrigo, James C. Brett, Schachenmayr, Debbie Bliss, Sirdar and Hayfield. Some of our orphans . . . 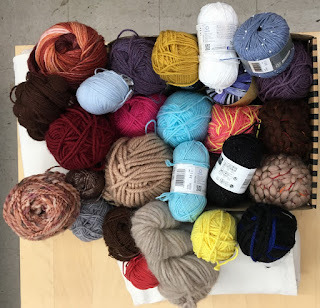 These are all beautiful balls and skeins which could be used to complete an unfinished project, add an edging or a smaller project such as toque, cowl or fingerless gloves.